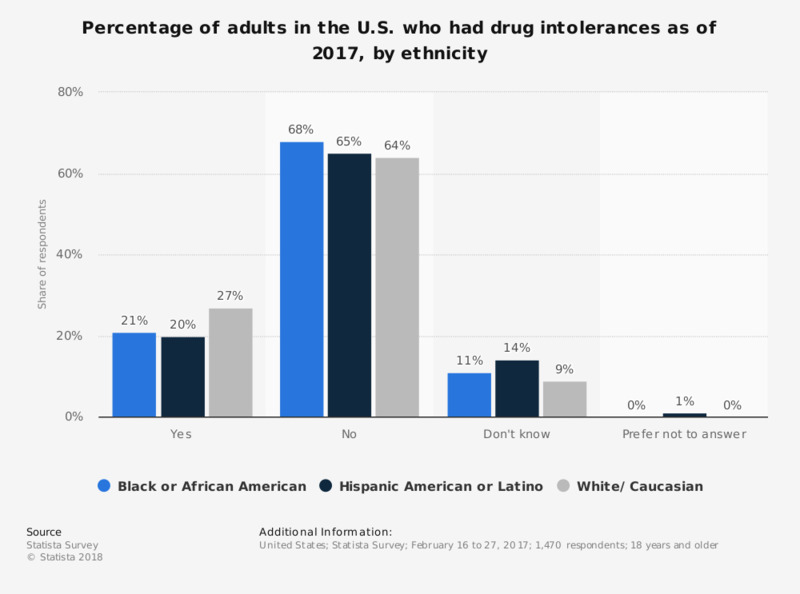 This statistic shows the percentage of adults in the U.S. who had drug intolerances as of February 2017, by ethnicity. It was found that 21 percent of Black or African American respondents had intolerances to drugs, while 27 percent of White or Caucasian respondents had such intolerances. Original question: Do you have intolerances to certain drugs? Drug shortages of individual drugs experienced by hospitals in U.S. Which of the health risks related to tattooing are you aware of?